Your homestead is capable of being so much more than a source of sustenance and self reliance. It can also be a source of income! Wide open spaces are perfect for flexing your income potential as a homesteader. These four ways to utilize acreage to your maximum benefit are a great way to get started. This is an easy passive source of income that requires minimal investment. If you have open, grassy acreage, leasing this space to others for their livestock to graze on can turn that grass into cash! You can always step it up a notch by planting specialty grasses or offering organic grazing land provided you are not using pesticides or herbicides on the lot. It’s important to get everything in writing if you plan on pursuing this option. Make sure you’ve clearly outlined who is responsible for the animals, their water, any damages caused by the animals, fence upkeep, etc. You will also want to check with your insurance provider to ensure you have proper coverage to protect your interests. This option requires a good bit more of an investment but is well worth it. This is a great option if you have the space to plant an orchard or ground crops that are easily picked. Fruits are generally more successful than vegetables at attracting customers and you will want to create a family friendly environment as many families choose this as a family activity. You will need to ensure that you have clear advertising with hours and rules, ample parking space, shaded rest areas, drinking water (you may even consider selling refreshments), and a variety of produce designed to bring customers in all year round. Once again, check with your insurance provider to update coverages! There are many ways to go about embracing this option. You can raise livestock for meat and dairy, breed and train family cows or goats for other homesteaders, or keep male livestock for studding services. There is obviously a significant upfront and ongoing cost associated with this but the return on your investment will justify the expense. As always, going organic is not only the most sustainable option but also brings premium pricing for your goods and services! Just ensure you have a great, organic-friendly vet available when necessary. High quality natural fibers are in high demand! Fiber animals encompass far more than you think too. Of course, you have your traditional sheep, goats, llamas, and alpacas, but you also have Angora rabbits and even Scottish Highland cows! Each type has varying amounts of investment required in terms of time, money, and space. So, make sure you thoroughly research your options. You’ll want to consider whether you wish to breed and raise your own from birth or if you would rather procure your animals individually. It’s important to note that the second option does provide you with more control over the fiber you will have available in terms of color, etc. since you will be selecting them rather than being at the mercy of mother nature’s genetic roulette. 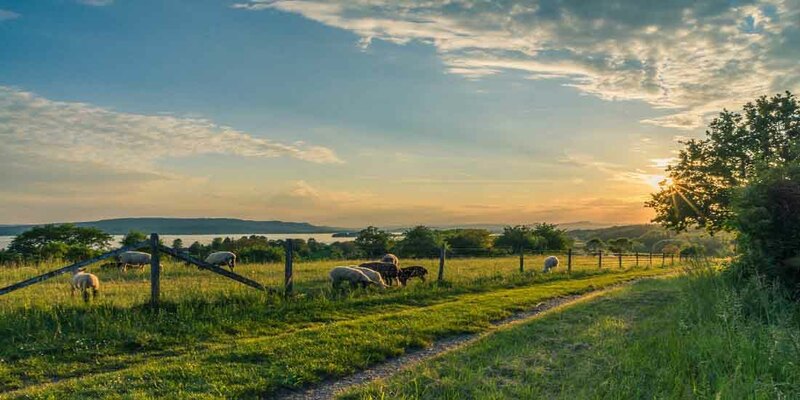 Generating income from your acreage can be a great way to supplement your homesteading lifestyle and create multiple income streams to build financial security for you and your family. The key is to be open to exploring different options to find the one best suited to the investment of time, money, and resources that you are comfortable with. One thing’s for sure, whatever you choose, land that’s earning is better than land that is not being put to any use.